If you're in search of textbook rentals, then Chegg will likely come up in regards to your online options. They offer books not only in physical form, but digital format as well. The company was originally established under the name Cheggpost by Mike Seager, Mark Fiddelke, and Josh Carlson. All three attended Iowa State University, and started the service for fellow students. The service's popularity attracted the attention of Aayush Phumbhra who was also a fellow student. Chegg, Inc. was officially founded in 2005. It's national success eventually lead to it being listed on the New York Stock Exchange in the fall of 2013. You may be wondering how in the world they came up with the name Chegg. After the three founders graduated college with a degree, they had a difficult time starting their respective careers. Experience was necessary to gain a job, but you couldn't get a job without having some experience. It's just like asking which came before, the chicken or the egg? Chegg is a combination of the words chicken and egg to reflect the founder's conundrum. Sticking with its namesake, you can find the company's website at chegg.com. Although they specialize in helping students obtain textbooks for their classes, they also offer other services that students may need to succeed. One of the cool things to do on the website is to explore prospective colleges that you're thinking about attending. They even have a list of scholarships that you can apply for to help pay for your education. Chegg also has a media section on the website. In this section, visitors will find music tracks from artists who are looking to gain more popularity. There is also a selection of videos and stores. If you pay more than $55 on your text book order, then you can get free shipping from it. There are all sorts of different textbooks that you'll need for college. You can search for the specific ones you need based on name, ISBN, or other options. Many people decide to buy their textbooks new, while others choose to rent them instead. If you're really trying to save a bit of money, then renting is definitely a good option for you. You'll just need to let the company know the specific period of time that you intend to keep the book. They will provide you with a box to return it in whenever you're finished. If you do buy a book, you probably won't have much use for it after you're finished with your class. You can come to Chegg if you wish to sell it. There are also services to help students such as scholarship listings and tutor referrals. Chegg is a great way to save money on textbooks, but you can save even more by using special discount codes. Here at Coupofy Coupons, you'll find all the codes you need to save money. 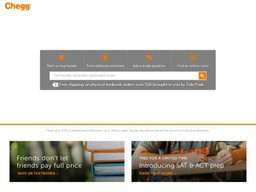 Just click on one of the links to be taken right to chegg.com for your textbook order. Whenever you rent a textbook, you'll have to use a major credit card. You will need to ensure that your card details are valid at all times that you're active on the site. If you wish to get a refund for your order, then you have 21 days. The returned book has to be in the same condition as it was when you got it. 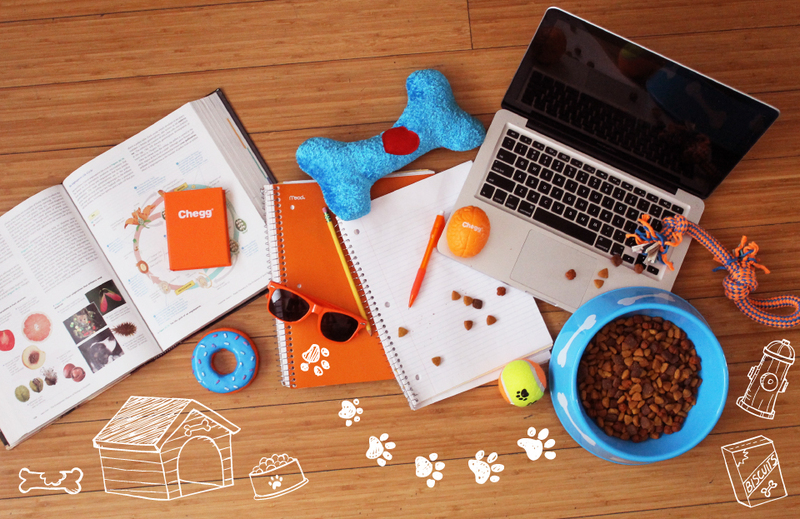 Chegg has customer support services through their official Facebook and Twitter accounts. It's available between 7am and 10pm PST any day of the week. Live chat on the website is available between 6am and 5pm PST. They can be reached at (844) 224-5946 between 7am and 5pm PST on weekdays only. @Kelly__Briana I would be more than happy to get you in touch with the Chegg Tutoring team. Can you please direct message me?